The multi-level marketing (MLM) field grows and its member companies multiply. Solicitations to join the movement seem to be everywhere. The impression accordingly grows that it is indeed the “wave of the future“, a business model that is gaining momentum, growing in acceptance and legitimacy and, as its promoters claim, will eventually replace most other forms of marketing and sales. Many are led to believe the assertions that success can be found by anyone who faithfully believes in the system and steadfastly adheres to its methods and that, eventually, all of us will become MLM distributors. My analysis of the MLM business is based upon fourteen years experience in corporate consulting specifically in the distribution field and more than 10 years of research and writing about the MLM model. This has included serving as expert witness in state and federal court cases, corresponding directly with more than 1,500 participants, writing a book, being interviewed for local and national radio, television, newspapers and magazines, and carefully studying numerous MLM marketing and pay plans. This research has shown that the MLM business model, as it is practiced by most companies, is a marketplace hoax. In those cases, the business is primarily a scheme to continuously enroll distributors and little product is ever retailed to consumers who are not also enrolled as distributors. In general, MLM industry claims of distributor income potential, its descriptions of the ‘network’ business model and its prophecies of a reigning destiny in product distribution have as much validity in business as UFO sightings do in the realm of science. Financially, the odds for an individual to achieve financial success under those circumstances rival the odds of winning at the tables in Las Vegas. The very legality of the MLM system rests tenuously upon a single 1979 ruling on one company. The guidelines for legality that are set forth in that ruling are routinely ignored by the industry. Lack of governing legislation or oversight by any designated authority also enables the industry to endure despite occasional prosecutions by state Attorneys General or the FTC. MLM is not defined and regulated like, for instance, franchises are. MLMs can be established without federal or state approval. There is no federal law specifically against pyramid schemes. Many state anti-pyramid statutes are vague or weak. State or federal regulation usually involves first proving that the company is a pyramid scheme. This process can take years and by then, the damage to consumers is done. Indeed, even when MLM pyramids are shut down, often the promoters immediately set up new companies under new names and resume scamming the public. MLM’s economic score card is characterized by massive failure rates and financial losses for millions of consumers. Its structure in which positions on an endless sales chain are purchased by selling or buying goods is mathematically unsustainable and its system of allowing unlimited numbers of distributors in any market area is inherently unstable. MLM’s espoused core business – personal retailing – is contrary to trends in communication technology, cost-effective distribution, and consumer buying preferences. The retailing activity is, in reality, only a pretext for the actual core business – enrolling investors in pyramid organizations that promise exponential income growth. As in all pyramid schemes, the incomes of those distributors at the top and the profits to the sponsoring corporations come from a continuous influx of new investors at the bottom. Viewed superficially in terms of company profits and the wealth of an elite group at the pinnacle of the MLM industry, the model can appear viable to the uninformed, just as all pyramid schemes do before they collapse or are exposed by authorities. Deceptive marketing that ably plays upon treasured cultural beliefs, social and personal needs, and some economic trends account for MLM’s growth, rather than its ability to meet any consumer needs. The deceptive marketing is nurtured by a general lack of professional evaluation or investigation by reputable business media. Consequently, a popular delusion is supported that MLM is a viable business investment or career choice for nearly everyone and the odds of financial success in the venture are comparable or better than other trades, professions, employment or business ventures. MLM’s true constituency is not the consuming public but rather hopeful investors. The market for these investors grows significantly in times of economic transition, globalization and employee displacement. Promises of quick and easy financial deliverance and the beguiling association of wealth with ultimate happiness also play well in this market setting. The marketing thrust of MLM is accordingly directed to prospective distributors, rather than product promotions to purchasers. Its true products are not long distance phone services, vitamin pills, health potions or skin lotions, but rather the investment propositions for distributorships, which are deceptively portrayed with images of high income, minimal time requirements, small capital investments and early success. The word, lie, is provoking and it is used here for provocative purposes. At some level, everyone who participates in MLM in which little retailing is occurring is unconsciously lying to himself or herself. Many at the top of these organizations are consciously lying to everyone else. Deception is inherent in this type of MLM scheme and is pervasive in its marketing. Here are 10 of the biggest lies I have found to be present in almost every MLM I have encountered. Lie #1: MLM is a business offering better opportunities for making large sums of money than all other conventional business and professional models. Truth: For almost everyone who invests MLM turns out to be a losing financial proposition. This is not an opinion, but a historical fact. Consider some notable examples from among the largest MLMs. In the largest of all MLMs, Amway, only 1/2 of one percent of all distributors make it to the basic level of “direct” distributor, and the average income of all Amway distributors is about $40 a month. That is gross income before taxes and expenses. When costs are factored, it is obvious that nearly all suffer a loss. Making it to “direct”, however, is not a ticket to profitability, but to greater losses. When the Wisconsin Attorney General filed charges against Amway, tax returns from all distributors in the state revealed an average net loss of $918 for that state’s “direct” distributors. Extraordinary sales and marketing obstacles account for much of this failure, but even if the business were more feasible, sheer mathematics would severely limit the opportunity. 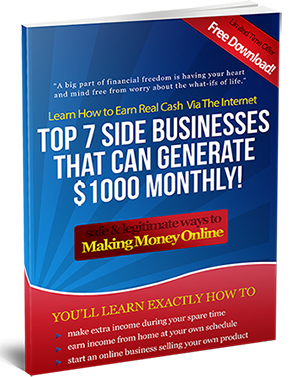 The MLM type of business structure can support only a small number of financial winners. If a 1,000-person downline is needed to earn a sustainable income, those 1,000 will need one million more to duplicate the success. How many people can realistically be enrolled? Much of what appears as growth is in fact only the continuous churning of new enrollees. The money for the rare winners comes from the constant enrollment of armies of losers. The vast majority of the losers in MLM drop out within a year. In a 1999 court case brought against Melaleuca, one of the country’s largest MLMs, the company claimed it has the highest “retention” rate among distributors in the entire MLM industry. Melaleuca boasted a drop-out rate is 5.5% per month. This equates to about 60% per year, if the dropouts are replaced each month. In its annual report to the SEC, Pre-Paid Legal, another large MLM, revealed that more than 1/2 of all its customers and distributors quit each year and are replaced by another group of hopeful investors. This pattern of 50-70% of all distributors quitting within one year holds true also for NuSkin, the industry’s second largest MLM. NuSkin also exemplifies the accompanying pattern in which a tiny percent of the distributors gain the majority of all company rebates. In 1998, NuSkin paid out 2/3rds of its entire rebates to just 200 upliners out of more than 63,000 “active” distributors. The money they received came directly from the unprofitably investments of the 99.7% of the others. In 1995, Excel Communications, another “fast growing” MLM, reported to regulators an 86% turnover rate of distributors and 48% drop-out rate among all customers. To obscure their dismal numbers, some MLMs classify their distributors as “active” and “inactive.” The Active group includes only recent participants and those still buying products or receiving rebates. Payout and retention statistics are then disclosed only on the “active” group. Truth: If you strip MLM of its hallmark activity of continuously reselling distributorships and examine its foundation, the one-to-one retailing of products to customers, you encounter an unproductive and impractical system of sales upon which the entire structure is supposed to rest. Personal retailing is a thing of the past, not the wave of the future. Retailing directly to friends on a one-to-one basis requires people to drastically change their buying habits. They must restrict their choices, often pay more for goods, buy inconveniently, and awkwardly engage in business transactions with close friends and relatives. The unfeasibility of door-to-door retailing is why MLM is, in reality, a business that just keeps reselling the opportunity to sign up more distributors. Lie #3: Eventually all products will be sold by MLM, a new form of marketing. Retail stores, shopping malls, catalogues and most forms of advertising will soon be rendered obsolete by MLM. Truth: MLM is not new. It has been around since the late 1960’s. Yet, today it still represents less than one percent of US retail sales. In year 2000, total US retail sales were $3.232 trillion, according to the Dept. of Commerce. MLM’s total sales are about $10 billion. That is about 1/3rd of one percent and most of this sales volume is accounted for by the purchases of hopeful new distributors who are actually paying the price of admission to a business they will soon abandon. Not only are MLM sales insignificant in the marketplace, but MLM fails as a sales model also on the other key factor ­ maintaining customers. Most MLM customers quit buying the goods as soon as they quit seeking the “business opportunity.” There is no brand loyalty. These basic facts show that, as a marketing model, MLM is not replacing existing forms of marketing. It does not legitimately compete with other marketing approaches at all. Rather, MLM represents a new investment scheme that uses the language of marketing and sales of products. Its real products are distributorships which are sold with misrepresentation and exaggerated promises of income. People are buying products in order to secure positions on the sales pyramid. The possibility is always held out that you may become rich if not from your own efforts then from some unknown person who might join your ‘downline,’ the ‘big fish’ as they are called. MLM’s growth is a manifestation not of its value to the economy, customers or distributors but of the recently high levels of economic fear and insecurity and rising expectations of quick and easy wealth. It is growing in the same way day trading on the stock market, legalized gambling and lotteries are. 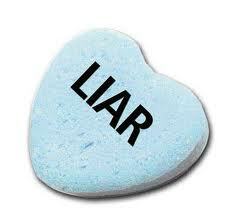 Lie #4: MLM is a new way of life that offers happiness and fulfillment. It is a means to attain all the good things in life. Truth: The most prominent motivating appeal of the MLM industry as shown in industry literature and presented at recruitment meetings is the crassest form of materialism. Fortune 100 companies would blush at the excess of promises of wealth and luxury put forth by MLM solicitors. These promises are presented as the ticket to personal fulfillment. MLM’s overreaching appeal to wealth and luxury conflicts with most people’s true desire for meaningful and fulfilling work in something in which they have special talent or interest. In short, the culture of this business side tracks many people from their personal values and desires to express their unique talents and aspirations. Lie #6: Success in MLM is easy. Friends and relatives are the natural prospects. Those who love and support you will become your lifetime customers. Truth: The commercialization of family and friendship relations or the use of ‘warm leads’ which is required in the MLM marketing program is a destructive element in the community and very unhealthy for individuals involved. Capitalizing upon family ties and loyalties of friendships in order to build a business can destroy ones social foundation. It places stress on relationships that may never return to their original bases of love, loyalty and support. Beyond its destructive social aspects, experience shows that few people enjoy or appreciate being solicited by friends and relatives to buy products. Truth: decades of experience involving millions of people have proven that making money in MLM requires extraordinary time commitment as well as considerable personal wiliness, persistence and deception. Beyond the sheer hard work and special aptitude required, the business model inherently consumes more areas of ones life and greater segments of time. In MLM, everyone is a prospect. Every waking moment is a potential time for marketing. There are no off-limit places, people or times for selling. Consequently, there is no free space or free time once a person enrolls in MLM system. Under the guise of creating money independently and in your free time, the system gains control and dominance over people’s entire lives and requires rigid conformity to the program. This accounts for why so many people who become deeply involved end up needing and relying upon MLM desperately. They alienate or abandon other sustaining relationships. Truth: MLM marketing materials reveal that much of the message is fear-driven and based upon deception about income potential. Solicitations frequently include dire predictions about the impending collapse of other forms of distribution, the disintegration or insensitivity of corporate America, and the lack of opportunity in other professions or services. Conventional professions, trades and business are routinely demeaned and ridiculed for not offering ‘unlimited income.’ Employment is cast as wage enslavement for ‘losers.’ MLM is presented as the last best hope for many people. This approach, in addition to being deceptive, frequently has a discouraging effect on people who otherwise would pursue their own unique visions of success and happiness. A sound business opportunity does not have to base its worth on negative predictions and warnings. Truth: MLM is not true self-employment. ‘Owning’ an MLM distributorship is an illusion. Some MLM companies forbid distributors from carrying additional lines. Most MLM contracts make termination of the distributorship easy and immediate for the company. Short of termination, downlines can be taken away with a variety of means. Participation requires rigid adherence to the ‘duplication’ model, not independence and individuality. MLM distributors are not entrepreneurs but joiners in a complex hierarchical system over which they have little control. Truth: The sale of products is in no way a protection from anti-pyramid scheme statutes or unfair trade practices set forth in federal and state law. MLMs that sell useful, quality products have been successfully prosecuted under anti-pyramid scheme laws by state and federal officials. MLM is a legal form of business only under certain rigid conditions set forth by the FTC and state Attorneys General. Many MLMs are currently in gross violation of these guidelines and operate only because they have not been prosecuted. Recent court rulings are using a 70% rule to determine an MLM’s legality. At least 70% of all goods sold by the MLM company must be purchased by non-distributors. This standard would place most MLM companies outside the law. The largest of all MLMs acknowledges that only 18% of its sales are made to non-distributors.